Companies like Cisco and Lego have discovered that business anthropology holds the key to truly understanding customers and better meeting their needs. How do you initiate a mindset shift among an organization’s leaders? To navigate and respond to a volatile, uncertain, complex and ambiguous (VUCA) world, how do you expose leaders to a new way of seeing the world? What tools and behaviours – if made a habit – can ingrain this mindset in a leader? Working with ReD Associates, we designed an experience to help them learn sensemaking as a practice to embed in their leadership toolkit, to support these leaders in dealing more effectively with an uncertain and increasingly complex world. In The World Is Flat: A Brief History of the Twenty-First Century, the award-winning New York Times columnist and author Thomas L. Friedman noted that the rate of change is much different than in the past. “Whenever civilization has gone through one of these disruptive, dislocating technical revolutions – like Gutenberg’s introduction of the printing press – the whole world has changed in profound ways,” he writes. “But there is something about the flattening of the world that is going to be qualitatively different from other such profound changes – the speed and breadth with which it is taking hold. The consensus is that we are living in a world in which change at warp speed is affecting more people than ever before. Leaders need both foresight and insight to deal with these highly challenging circumstances. How can they manage this? A Harvard Business Review article by the founders of ReD Associates (Christian Madsbjerg and Mikkel B. Rasmussen, March 2014) advocates sensemaking. Their article explains that sensemaking is at the opposite end of the spectrum from big data (see Dialogue, May 2014), in that it is a non-linear process of observation based on anthropology – watching how people experience life. Detailed observation gives us the gift of another’s perspective. For example, only when we observe our customers will we learn what they really want, rather than what we think they want. Ross School of Business professor emeritus of organizational behaviour and psychology Karl Weick introduced sensemaking in the 1990s as an important skill for organizations to cultivate. Sensemaking is learning how meaning shapes our lives and organizations use it to try to discern changes in the marketplace or in their customers’ needs. For example, Lego used sensemaking to get back in touch with the meaning of play for children. 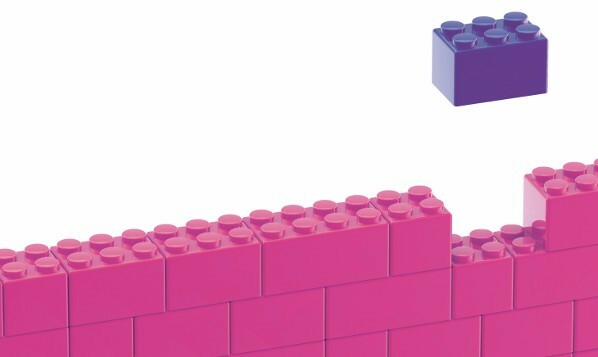 As Lego built its understanding of play, it reversed many of its assumptions and rebuilt its business, reversing years of decline and losses. How is sensemaking different from market research? While its applications can vary, sensemaking generates most insight in unfamiliar contexts: new markets, new customers, or new problems that the organization hasn’t seen before. Conventional business metrics and managerial tactics are less effective in these circumstances, because the underlying data and patterns aren’t there. Instead, sensemaking uses the tools of social science to find underlying meaning in the lives of customers, which shapes how they view a company’s offerings. Often, the problem we think we’re addressing looks vastly different when we ask questions the way anthropologists and sociologists do, and without assuming we already know what’s going on. Organizations face the challenge of equipping people to navigate not only today’s world, but tomorrow’s. They aspire to give their leaders the tools needed to manage growth in a constantly changing world. They need to create clarity and direction by making sense of a turbulent environment where threats and opportunities alike may come packaged as weak, hard-to-read signals and where the pace of change is overwhelming. The “sensemaking in a VUCA World approach” asks leaders not only to be aware of their biases and assumptions, but also to challenge them, perhaps even to set them aside entirely. In a world that is unpredictable, we are all prone to rely on our familiar, known ways of thinking and acting. But today, where being open to the unknown and unexpected is necessary to thrive, this is sub-optimal. Our biases and assumptions restrict the types of questions leaders ask and, in so doing, limit the solutions that are possible. Sensemaking demands curiosity, and practise cultivates this. It uses data gathering methods such as keen observation and semi-structured interviewing. These methods collect data often overlooked in business and answer not only “what?” questions but also “why?” and “how?” Using an iterative process to find patterns, sensemaking generates insights that may otherwise go uncovered. We started out by teaching sensemaking in a workshop format. We then helped the participants practise with the newly acquired tools. We deliberately chose fieldwork that was disconnected from their organizational realities and daily business challenges so participants would fully immerse themselves in the sensemaking process. The experience itself spread the participants across the neighbourhoods of Miami. Their task was to study developments in local infrastructure – and work out how these affected the varying communities of the city. The participants were engaged first-hand in fieldwork, pattern recognition and insight generation, which provided a visceral introduction to using the tools. The participants had to reframe their conventional approach to business problems from the outset. After the experience, facilitators helped the participants recognize patterns in the data they had uncovered and turn these into meaningful insights. Once the tools were learned, we ran a similar experience but one where the challenge was highly relevant to a specific business unit in Cisco. So, after the Miami experience, the participants used the same tools to understand the source of the company strategy and the context within which people work. They then married the two sets of insights so the strategy was more meaningful for the people who charged with executing it. Really simple application can reap concrete business results, and gain valuable employee insights. For example, interviews to get a better sense of how employees felt about working at the company uncovered that corporate logo merchandise was selling faster than it had been in several years. This demonstrated that positive sentiment was on the rise – and helped Cisco assess the health of its company. This two-stage approach to application is critical. It embeds sensemaking practices and shifts executives’ mindsets. Being out of context is critical and gets participants thinking creatively. Had we gone straight to the company context, it would have brought participants’ preconceptions and usual approaches into play immediately. “Business as usual” clouds people’s perspective. Coming back after practice in an unknown setting, and only then applying observations in context, is critical. Translating the experience into something meaningful requires time set aside for thinking and processing. It helps executives adopt new ways of thinking and broaden the data they observe. They rely less on data from spreadsheets and are less likely to look for the “one right answer”. Sensemaking opens up options. Executives who have learned the process ask more and different questions. Asking fundamental questions – naïve questions almost – allows you to put yourself in someone else’s position, whether customers, employees or other stakeholders. Understanding the world through their eyes can help you see signals and patterns more clearly. It dispels preconceived notions or default thinking. That’s why sensemaking works. Julie Okada is Duke Corporate Education project director. Fritz Gugelmann is director of the Global Educator Network at Duke Corporate Education. Jennifer Giroux is a Management Consultant with ReD Associates. ReD Associates is a strategy consultancy that utilizes the engine of social science to tackle the world’s most challenging business problems. In the book “The Moment of Clarity: Using the human sciences to solve some of the world’s toughest problems” (HBR, 2014) Senior Partners Christian Madsbjerg and Mikkel B. Rasmussen detail ReD’s sensemaking framework, a problem solving approach that has helped companies such as LEGO, Ford, Samsung, Adidas, Coloplast, and Intel to unlock new opportunities and gain a new perspective on their business.